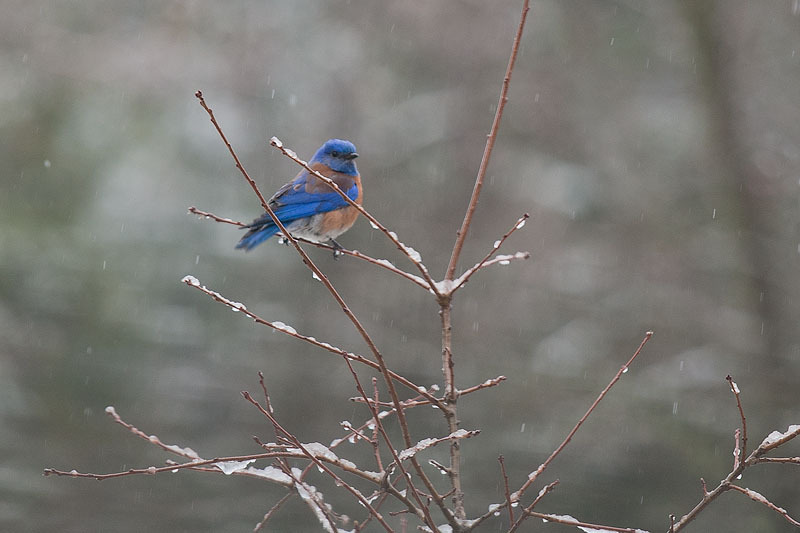 Clearly not the Bluebird of Happiness with all those icy boughs beneath his feet! A lovely shot. So..so...so sweet!!! And - how sad to see this poor little guy out in the snow!